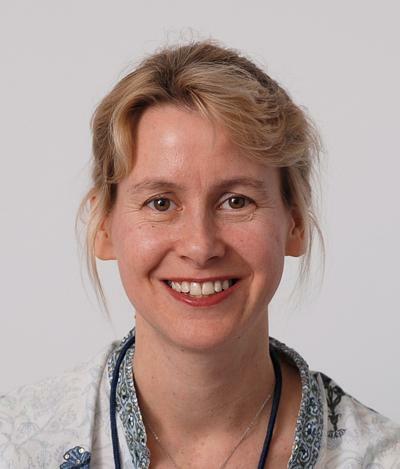 Prof Nicole (Nicci) Campbell is a Professorial Fellow (Enterprise)/Principal Audiological Scientist, based at the University of Southampton Auditory Implant Service (USAIS), an enterprise unit within Engineering and Physical Sciences. Cochlear implants (bionic ears) have completely transformed the lives of those with severe and profound hearing loss over the past 30 years. Our multi-disciplinary team supports over 1000 cochlear implant patients, ranging in age from less than I year to over 90 years of age. Seeing the success of our patients is tremendously rewarding! In addition to her NHS patient caseload, Nicci is the USAIS Academic Coordinator and Team Lead for both the Self-funded Cochlear Implant Service and the Auditory Processing Disorder (APD) Service. 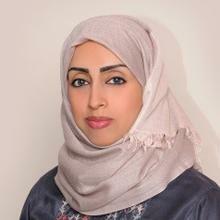 As Academic Coordinator at USAIS she oversees the teaching activities of staff, a role created by the University following her vision to develop close collaboration between USAIS and the Audiology Department at the University. This win-win collaboration offers real world patient experience for students as well as invaluable research and other opportunities. Her MSc AUDI 6012 Auditory Implant Module, in particular, is consistently rated as excellent by students. Nicci has also developed and oversees the popular 12-week clinical placement programme at USAIS. Past clinical placement trainees have excelled and gone on to set up and develop cochlear implant services around the world as well as securing substantive clinical and research positions, both nationally and internationally. Countries that have benefitted from this expertise include Singapore, Saudi Arabia, China, Canada, Netherlands and Belgium. Visit Clinical Placements to find out more. Nicci is the team lead for the Self-Funded Cochlear Implant Service at USAIS. This service is for adults who could benefit from cochlear implantation but are not eligible for NHS funding. The service runs parallel to and mirrors our multi-disciplinary NHS service, which has a world-wide reputation for excellence. Click here to find out more information. Nicci set up the first Interdisciplinary Auditory Processing Disorder (APD) Service in the UK at USAIS in 2007. The high co-occurrence of APD with language, dyslexia, attention, memory and executive difficulties underscores the importance of a multi-faceted approach. This one-stop service offers integrated assessment and intervention guidance. Click here to find out more about APD. She is currently the chair of the British Society of Audiology’s (BSA) APD group after being unanimously re-elected in July 2017. Find out more about her role as Chair. Comparing the outcomes of self-funded/individual funding request (IFR) patients (whose hearing is typically better and thus outside NICE criteria) with the outcomes of NHS patients, and also pre- and post-implantation outcomes. The results have the potential to shape national policy. Comparing the outcomes of NHS CI recipients pre- and post-sequential implantation. Current NICE criteria are for adults to receive only one implant. The results have the potential to shape national policy. Comparing pre- and post-outcomes of cochlear implant patients when fitted with the new bimodal hearing aid technology, i.e. Naida Link hearing aids. Cochlear implant recipients typically show significant improvements in both audiometric thresholds and speech perception in quiet scores, but often continue to report difficulty hearing in less favourable listening environments, i.e. in the presence of both ‘cocktail’ (competing speakers) noise and environmental noise. This study is looking at the speech-in-noise perception abilities of adults with cochlear implants and exploring ways to overcome the hearing difficulties in less favourable listening environments. This research forms part of one of the main research theme of USAIS, namely ‘Hearing beyond the audiogram’. 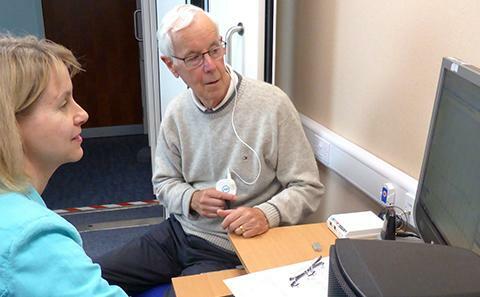 Visit Auditory Implant Service to find out more about the audiogram. University of Southampton Auditory Implant Service and Faculty of Engineering and the Environment. Campbell, N. (2014). Auditory Processing Disorder: Implications for diagnostic assessors. Dyslexia Review, 25(2), 9-12. Campbell, N. G. (2013). Supporting children with auditory processing disorder. British Journal of School Nursing, 6(6), 273-277. Campbell, N. G., Bamiou, D., & Sirimanna, T. (2012). Current progress in auditory processing disorder. ENT and Audiology News, 21(2), 86-90. Khan, F., Campbell, N., & Louw, B. (2007). Auditory processing disorders: training of speech-language therapists and audiologists within the South African context. South African Journal of Communication Disorders, 54, 77-89. Saleh, S., Campbell, N. G., & Wilson, W. J. (2003). The performance of South African English first and second adult speakers on a "low linguistically loaded" centralauditory processing test protocol. South African Journal of Communication Disorders, 50, 19-25. Saleh, S., Campbell, N. G., & Wilson, W. J. (2003). The performance of South African English first and second language adult speakers on a low "low linguistically loaded" central auditory processing test protocol. South African Journal of Communication Disorders, 50, 19-25. Campbell, N. G., & Wilson, W. J. (2003). The performance of South African English first language speaking children on a 'low linguistically loaded' central auditory processing test battery. South African Journal of Communication Disorders, 50, 15-18. Campbell, N. G. (2002). Chapter 10. Coping with auditory processing problems. In S. R. Hugo, & T. Blumberg (Eds. ), Challenges and Choices : an Aid for Parents of Children with a Hearing Loss (pp. 84-89). (Creative Solutions). Pretoria, ZA: Van Schaik. Campbell, N. (2017). An Interdisciplinary approach to APD. Paper presented at BAA Annual Conference 2018, Bournemouth, United Kingdom. Campbell, N. (2017). Auditory Processing Disorder. Auditory Processing Disorder Conference, Galway, Ireland. Campbell, N. (2017). Auditory Processing Disorder - Where are we now?. Campbell, N. (2017). New BSA APD Position Statement and Guidance Document. British Society of Audiology Annual Conference 2017, Harrogate, United Kingdom. Current Science and Clinical Practice, . Campbell, N. (2016). Management of APD at both ends of the age continuum. British Society of Audiology Annual Conference 2016, . Campbell, N. (2015). An evidence-based approach to management. Developments in Central Auditory Processing (CAPD) Implications for Ireland, Dublin, . Campbell, N., & Tan, K. Y. (2014). Dichotic Listening: Interaural Intensity Difference and Non-forced versus Forced recall. American Academy of Audiology Conference 2014, . Campbell, N. (2014). Keynote presentation. Advanced Audiology Masterclass: Auditory Processing Disorders, UCL London, . Campbell, N. (2013). An interdisciplinary and evidence-based approach to management(oral presentation - invited speaker). BSA Annual Conference 2013: Auditory Processing Disorder (APD) Satellite Training Day., . Campbell, N. G. (2013). Update on the work of the steering group of the British society of audiology on APD (oral presentation - invited speaker). APD Awareness Day, United Kingdom. Campbell, N. G. (2012). (C)APD Poster Presentations Session (Chair). American Academy of Audiology Annual Conference. Global Perspectives on (C)APD, Boston Conference Centre, Boston USA, 30-31 March 2012.. American Academy of Audiology Annual Conference 2012: Global Perspectives on (C)APD, United States. Campbell, N. G. (2012). An evidenced-based approach to management of APD (oral presentation - invited speaker). Auditory Processing Disorder Masterclass, United Kingdom. Campbell, N. G., Loo, J., Bamiou, D., & Luxon, L. M. (2012). Computer-based auditory training (CBAT): benefits for children with language- and reading-related learning difficulties. Poster session presented at American Academy of Audiology Annual Conference 2012: Global Perspectives on (C)APD, United States. Campbell, N. G. (2012). Language disorders in children and APD (oral presentation - invited speaker). Auditory Processing Disorder Masterclass, United Kingdom. Campbell, N. G. (2012). Multidisciplinary assessment of APD and the test battery approach (oral presentation - invited speaker). Auditory Processing Disorder Masterclass, United Kingdom. Firth, P., & Campbell, N. G. (2012). The temporal processing and dichotic listening of musicians versus non-musicians. Poster session presented at American Academy of Audiology Annual Conference: Global Perspectives on (C)APD, United States. Campbell, N. G. (2011). Effects of ageing on dichotic listening. British Society of Audiology Annual Conference 2011, United Kingdom. Campbell, N. G. (2009). Assessment of auditory processing: audiological perspective (oral presentation). Paper presented at An Introduction to Auditory Neuropathy Spectrum Disorder, . Campbell, N. G. (2009). Differential dignosis of auditory neuropathy spectrum disorder and auditory processing disorders (oral presentation). Paper presented at An Introduction to Auditory Neuropathy Spectrum Disorder, . Campbell, N. G. (2009). How to manage the non-implanted ear (Oral Presentation). Paper presented at Cochlear Implant Training Day, SOECIC, . Campbell, N. G. (2009). Management of APD (oral presentation). Paper presented at An Introduction to Auditory Neuropathy Spectrum Disorder, . Campbell, N. G. (2009). Management of APD: case study - effects of aging (oral presentation - invited speaker). Paper presented at Case studies Workshop Auditory Processing Disorders (International) Masterclass, University of London, UK, . Campbell, N. G. (2009). Management of APD: Informal auditory training and compensatory strategies (Oral Presentation - Invited Speaker). Auditory Processing Disorders (International) Masterclass, University of London, UK, 2-4 December 2009, . Campbell, N. G. (2009). Mapping and tuning. Cochlear Implant Training Day, SOECIC, . Campbell, N. G. (2009). Understanding APD (Oral Presentation). Paper presented at An Introduction to Auditory Neuropathy Spectrum Disorder, . Eyles, J., Cross, S., & Campbell, N. (2008). The Cochlear MP3000 optimization trial: an evaluation in established users the UK experience. In Proceedings of BCIG Academic Meeting UK: British Cochlear Implant Group. Campbell, N. G. (2006). Auditory processing disorders: approaches to treatment(oral presentation - invited speaker). Paper presented at Auditory Processing Skills: One-day Conference, Special Interest Group of the Royal College of Speech and Language Therapists in Specific Learning Difficulties, United Kingdom. Campbell, N. G. (2006). The management of auditory processing disorders (oral presentation - invited speaker). Paper presented at Auditory Processing Skills One-Day Conference: Institute of Child Health, . Campbell, N. G. (2005). Hearing, language and APD test results: case study (oral presentation - invited speaker). Paper presented at Current Trends in Auditory Processing Disorders Conference, . Campbell, N. G. (2005). Management of auditory processing disorders (oral presentation - invited speaker). Paper presented at Current Trends in Auditory Processing Disorders Conference, . Moore, D., Campbell, N., Rosen, S., Bamiou, D-E., Sirimanna, T., Grant, P., & Wakeham, K. (2018). British Society of Audiology Position Statement & Practice Guidance: Auditory Processing Disorder (APD). British Society of Audiology. Alles, R., Bamiou, D., Batchelor, L., Campbell, N. G., Canning, D., Grant, P., ... Wakeham, K. (2011). BSA Position statement: auditory processing disorder (APD). British Society of Audiology. Campbell, N. G. L. A., Alles, R., Bamiou, D., Batchelor, L., Canning, D., Grant, P., ... Wakeham, K. (2011). BSA Practice guidance: an overview of current management of auditory processing disorder (APD). British Society of Audiology. Nicci is the Academic Coordinator for USAIS and oversees the teaching activities of staff and the 12-week clinical placement programme. She is passionate about teaching and offers support to both new and experienced staff members.